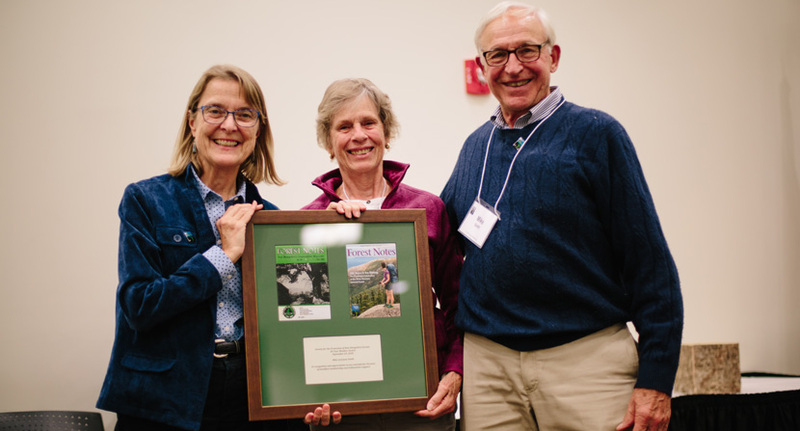 Member Ray Jackson, President/Forester Jane Difley, and Trustee Amy McLaughlin at the 117th Annual Meeting for the Forest Society. 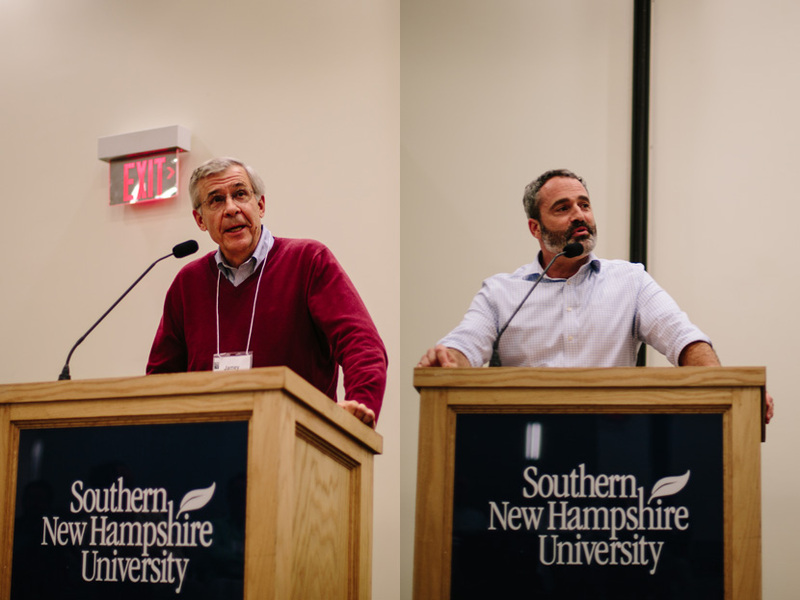 The Society for the Protection of New Hampshire Forests gathered for their 117th Annual Meeting at Southern New Hampshire University on September 29, 2018. 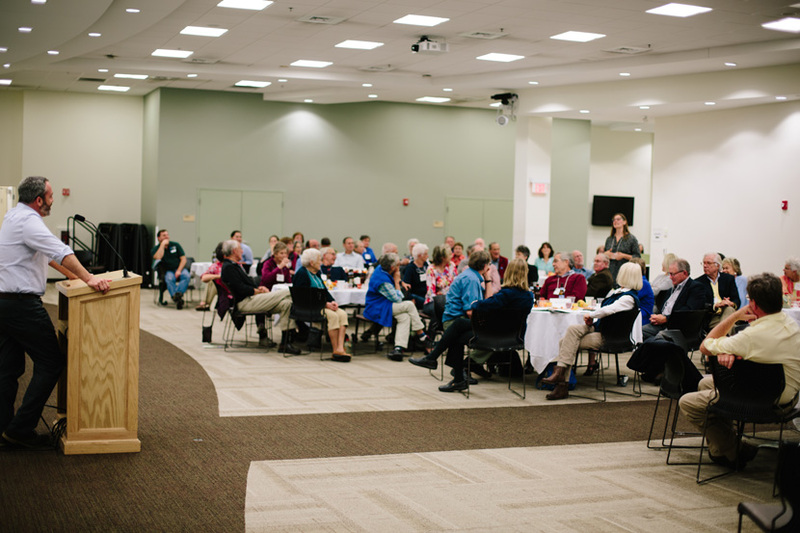 President/Forester Jane Difley updated the membership on the past year of conservation successes and reflected on the organization's 100-year history of work in the Granite State. 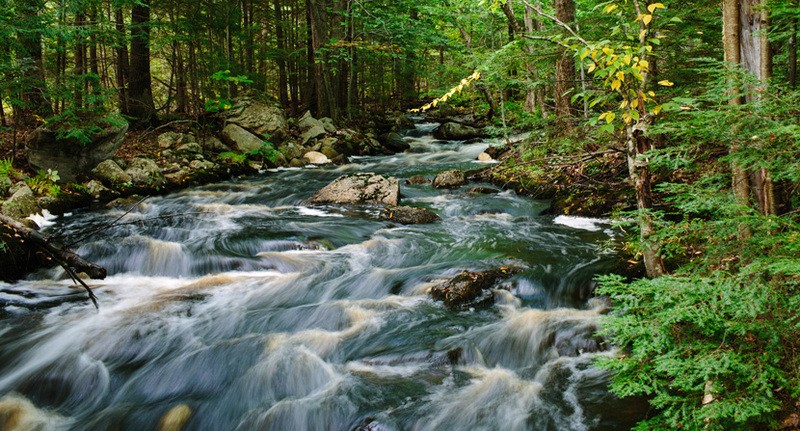 From the passage of the Weeks Act that led to the creation of the White Mountain National Forest to the campaign to bury Northern Pass, the Forest Society has time and again stood with the people of New Hampshire to protect places of special beauty. "Our drive to fullfill our mission, to perpetuate forests even as society rushes to blanket them in pavement, is like a river. Just as a million raindrops gather to make a stream, so thousands of people come together in favor of conservation. Just as the water of the White Hills will reach the salty shores of our ocean at a pace that alternately rushes and eddys, tumbles and swirls, our work rises and falls. 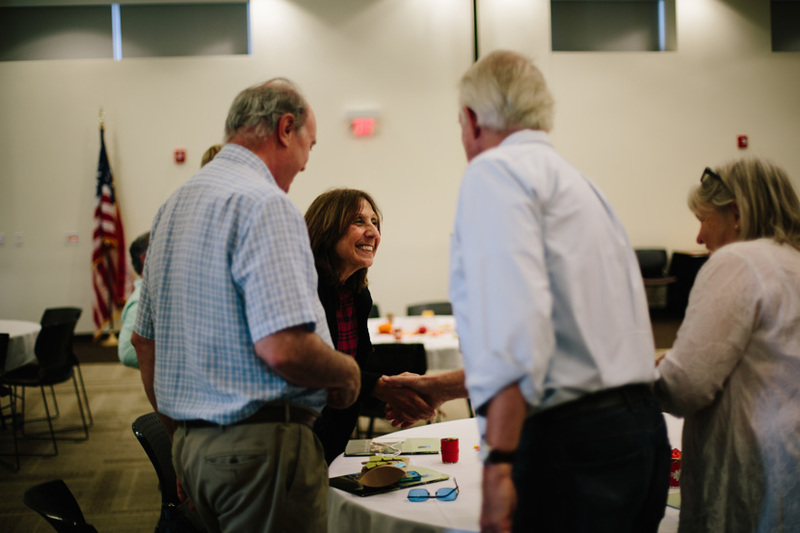 With enough of our greatest asset, people, we will be as unstoppable as the Merrimack." 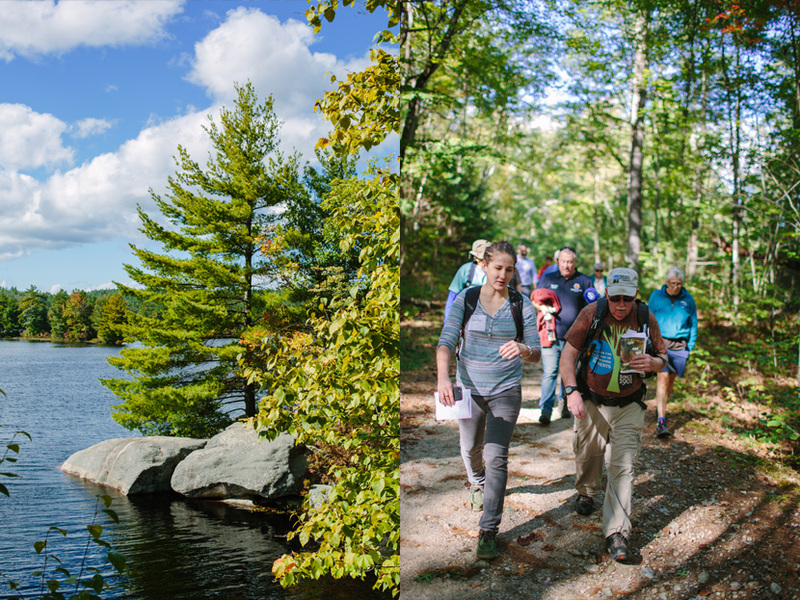 As part of the Annual Meeting, the Forest Society held afternoon field trips highlighting conservation efforts and environmental programs in the Merrimack Valley. Sixteen people joined a hike around Tower Hill Pond in Auburn, where a proposed 1,870-acre conservation easement would help protect drinking water supplies for Manchester Water Works. Despite being located only a few miles from downtown Manchester, the tract contains miles of undeveloped shoreline, dozens of vernal pools, hundreds of acres of prime wetlands, and habitat for rare or threatened plants and animal species. Miles of internal trails at Tower Hill Pond are used by the public for mountain biking, hiking, dog walking and running. Tower Hill Pond is a man-made pond that gathers water from the surrounding forested watershed in Auburn and Candia and drains into Lake Massabesic. An exciting sight on the Hooksett Riverwalk trail: a bald eagle! Naomi Houle/Forest Society photo. Other field trip highlights included a look at the wildside of downtown Manchester with NHPR's "Something Wild" co-hosts Chris Martin and Dave Anderson, a forest management tour showcasing a Natural Resources Conservation Service reserach project at Whittemore Reservation in Lyndeborough, a bald eagle perched along the Hooksett Riverwalk Trail along undeveloped frontage on the Merrimack River, and a special tour of SNHU's own outdoor classroom, the Tree House Collaborative. 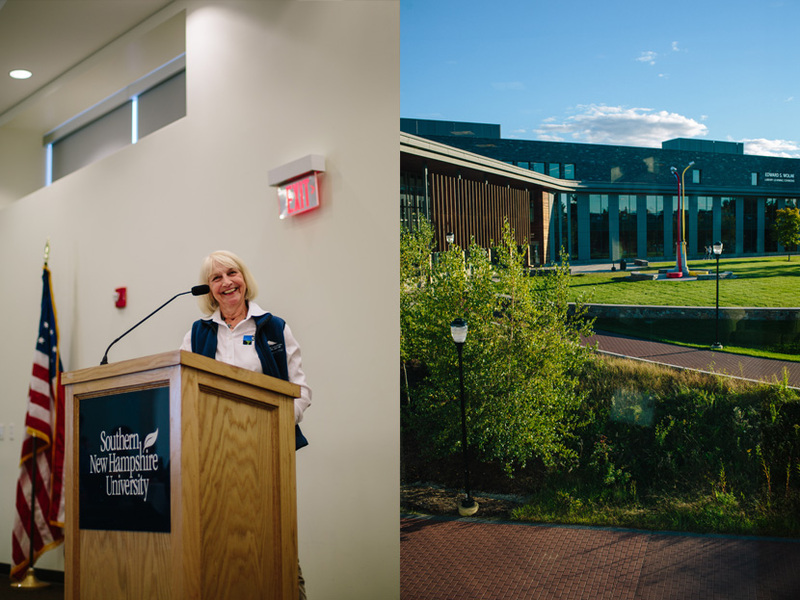 The evening business meeting recognized retiring trustees, Margo Connors, Rebecca Oreskes, and Merle Schotanus, and elected a slate of nominees to the Board of Trustees. New to the Board of Trustees are Nancy Martland of Sugar Hill and Janet Zeller of Concord. Continuing with a second term are John Brighton of Andover and Amy McLaughlin of Exeter. 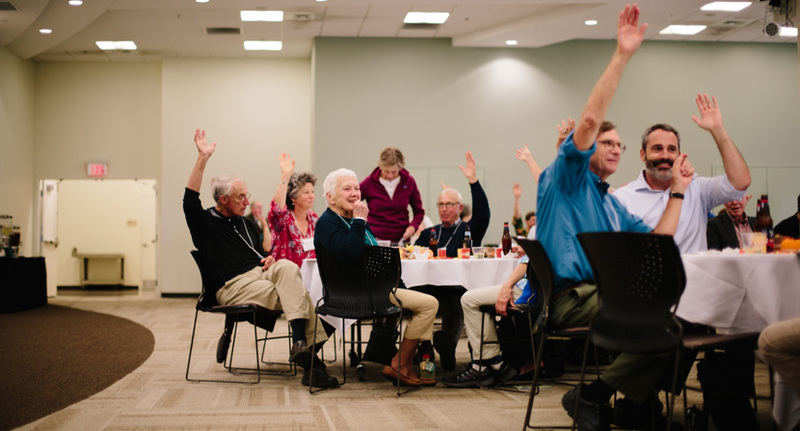 Forest Society members and guests chime in during the evening business meeting. Ben Gayman's conservation legacy comprises more than 400,000 acres of New Hampshire's protected lands. The prestigous Conservationist of the Year award honors people whose work to promote and achieve conservation is exemplary and whose actions have made a differen not just in their own backyards, but have advanced the protection and stewardship of land statewide. 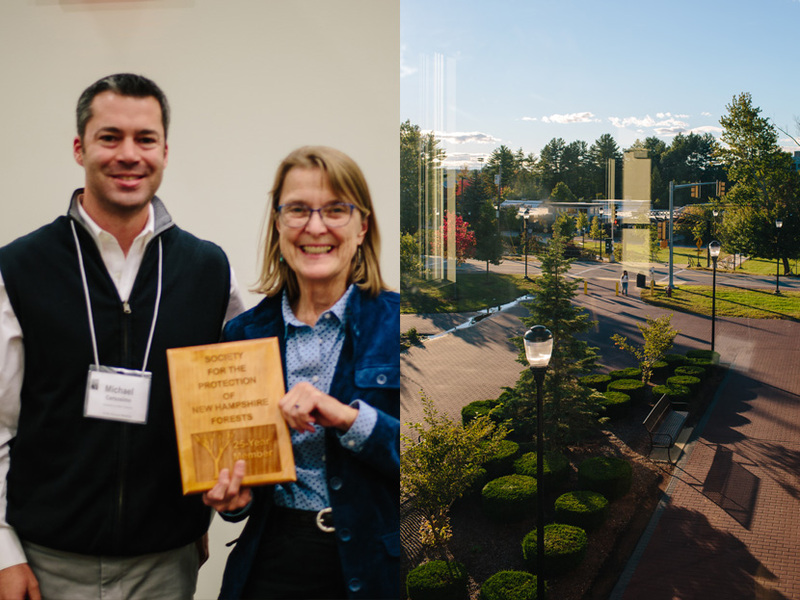 This year's award was presented to Ben Gayman, a former Chair of the Forest Society Board of Trustees and a key player in some extraordinary land conservation projects, including the 171,500-acre Connecticut Headwaters Project. The evening program also recognized long-time members who have reached the milestone of 25 years. Scroll to the end of this blog to see more photos of the evening's honorees. 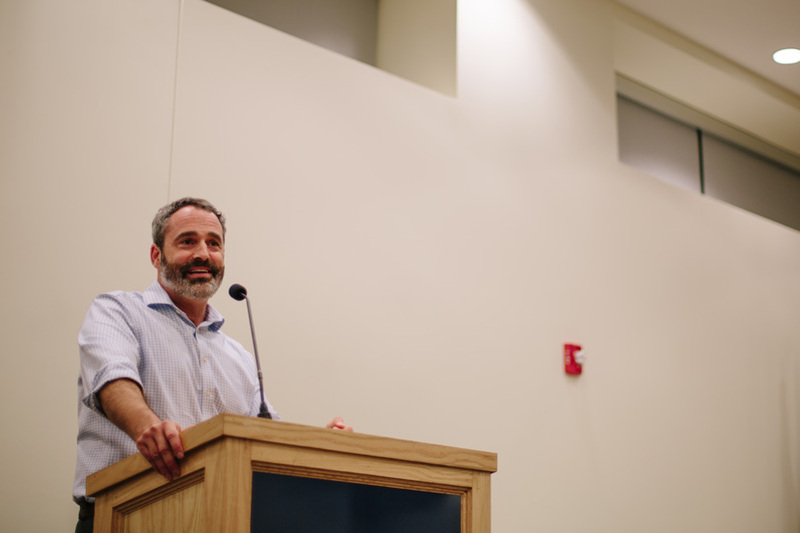 Another former Chair of the Forest Society Board of Trustees, Jamey French, set the stage for the evening's conclusion by introducing Andrew Bowman, President of the Land Trust Alliance. French, President of Northland Forest Products in Kingston, has been a Forest Society member since he was 12 and is now the Chair of the Land Trust Alliance. Jamey French (left) and Andrew Bowman (right). 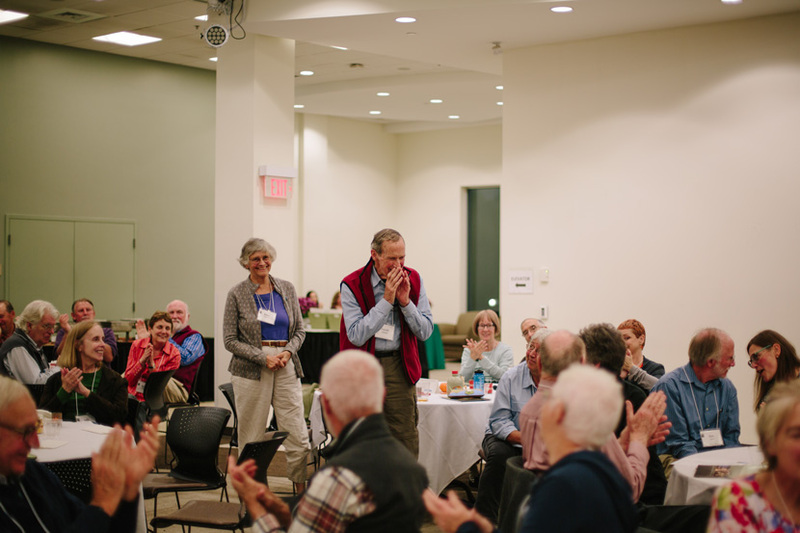 The Land Trust Alliance is a national leader in policy, standards, education, and training for the land trust community. 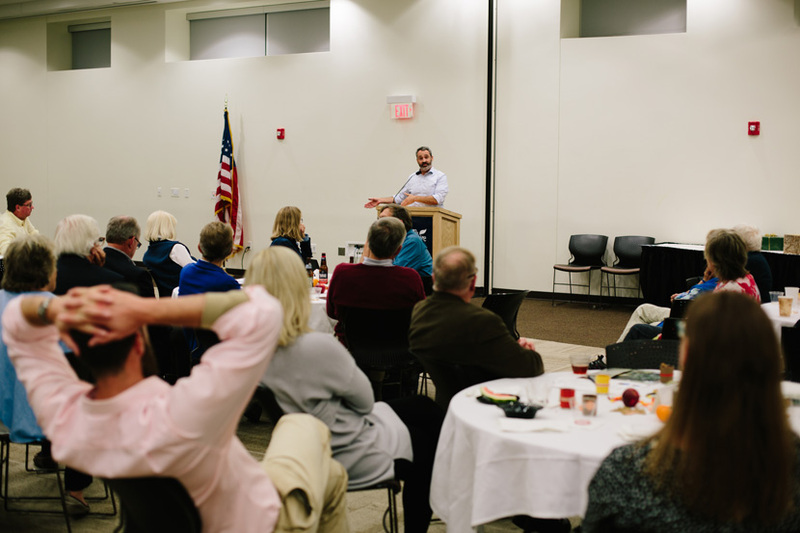 In his keynote address, Bowman shared insights and trends across a national network of more than 1,200 conservation organizations. Bowman congratulated the Forest Society on many conservation successes, including our participation in their rigorous accreditation program. In July 2013, the Forest Society was awarded accreditation by the Land Trust Allliance Accreditation Commission and submitted its application for renewal in 2018. 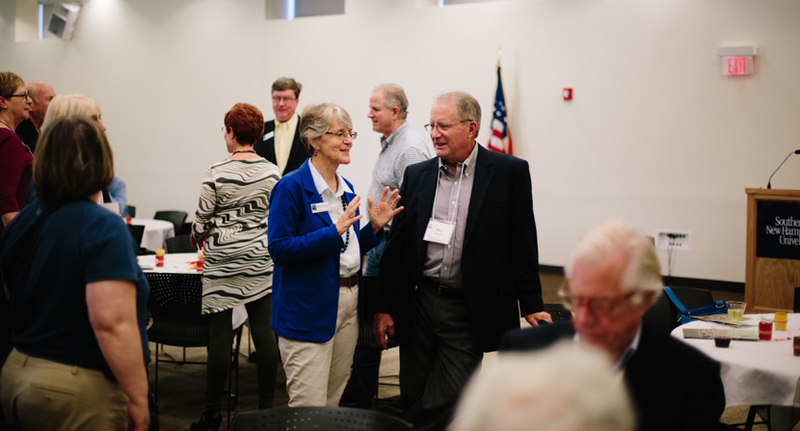 Bowman shared that although there are just over 400 accredited land trusts in the U.S., 80% of existing conserved land is held by accredited land trusts like the Forest Society. Continue scrolling to see more photos of the evening program, below. 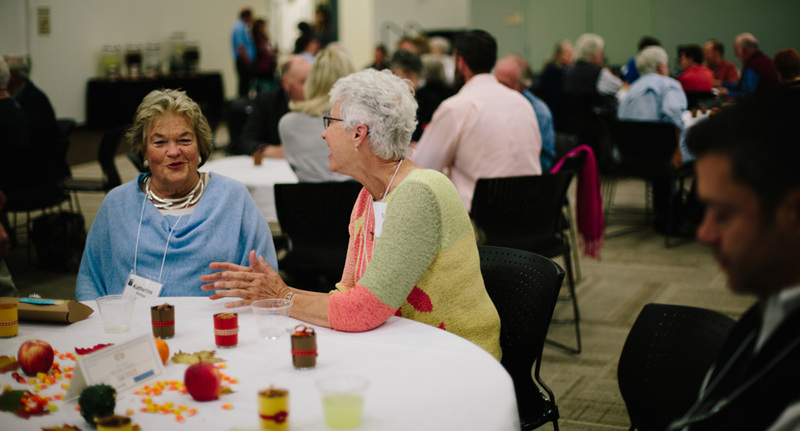 Catching up with friends and familiar faces during the evening program. 50 Year Members Mike and Jean Smith! Michael Cersoimo of Cersoimo Lumber Company accepted an award for 25 years of supporting our work as a Business Member.